Whether you are a flamboyant individual with a bold and adventurous style, or a minimalist with a flair for all things clean and simple, the thought of picking a unique wedding band to complement your fashion must have crossed your mind. While an engagement ring may provide the glitz and glam on certain occasions (of course it will with that big piece of rock! ), it is the ring that you will be wearing every single day for the rest of your life that will showcase your personality the most. The chase for something unique and obscure has seen a rise in couples customizing their wedding bands to include many intricate detailing and design. Many have opted to pick a classic wedding band, and refine them to suit their engagement ring. 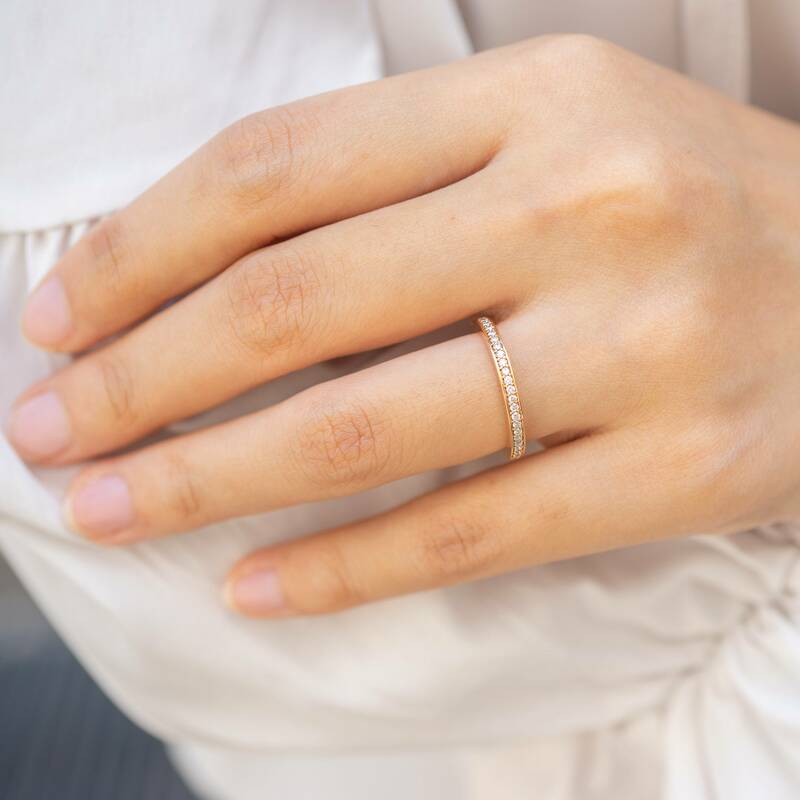 The basis for a minimalistic look and feel will not only complement an engagement ring, but is a statement piece in itself even with minor customizations. One of the most popular option for wedding bands would be the implementation of gemstones in an eternity ring. From Sapphire to Ruby or even Emerald, many brides-to-be have gone for a stand-out choice, taking the meaning of these gemstones into consideration when selecting a wedding band. This not only adds a new level of personalization to make a wedding band unique, but holds a special meaning for each individual. Some other couples still opt for the white diamond half or full eternity on a white gold or platinum ring and it is still the easiest to complement and match an engagement ring with. While it is more commonly selected, it still remains an elegant standalone statement piece with all the mini-diamonds aligned ever so majestically. 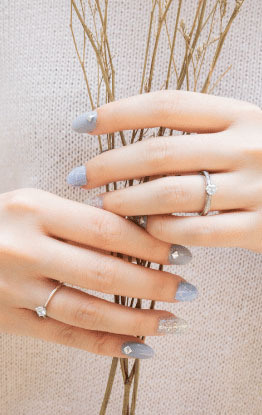 While uncommon, stacking multiple simple, thin rings is a surefire way to turn your wedding bands into a statement piece. Amongst the few, some may choose to go for two, three or four stackable rings of the same design. Others choose to opt for a range of fancy thin rings that complements each other, and brings out the overall charm of the engagement ring. 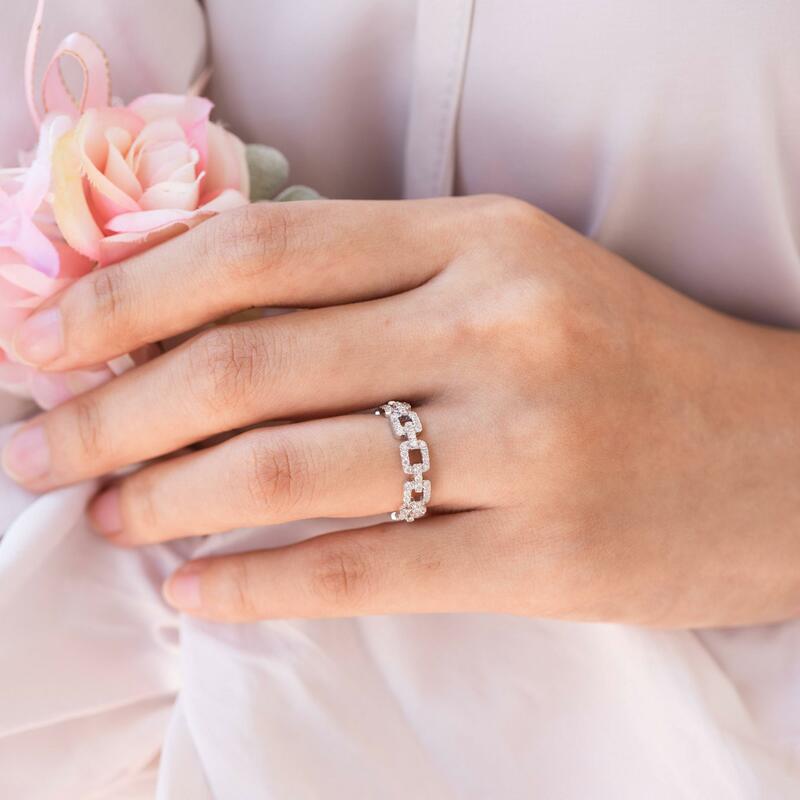 For some, a combination of dainty rings, gemstone channel rings and eternity rings would make the perfect combination of wedding bands - usually for the more flamboyant and adventurous. 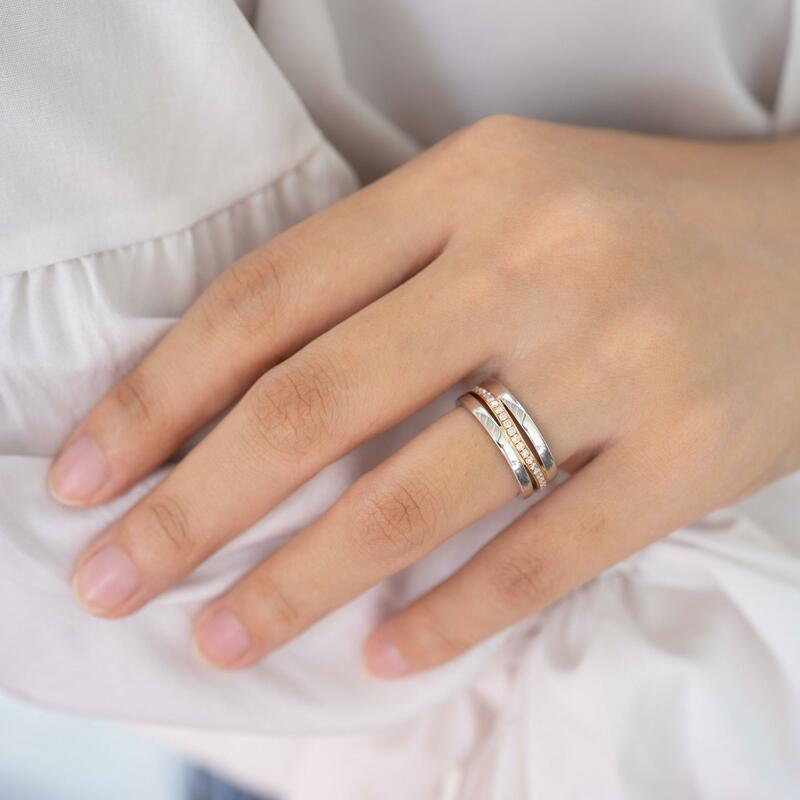 The beauty of stackable rings is that it can be continuously improvised and customized, to include any additional anniversary rings in the future wouldn’t be a problem at all. At the end of the day, whether its a basic classic band, an eternity ring, a stack of rings, the most important lies in how we wear it.